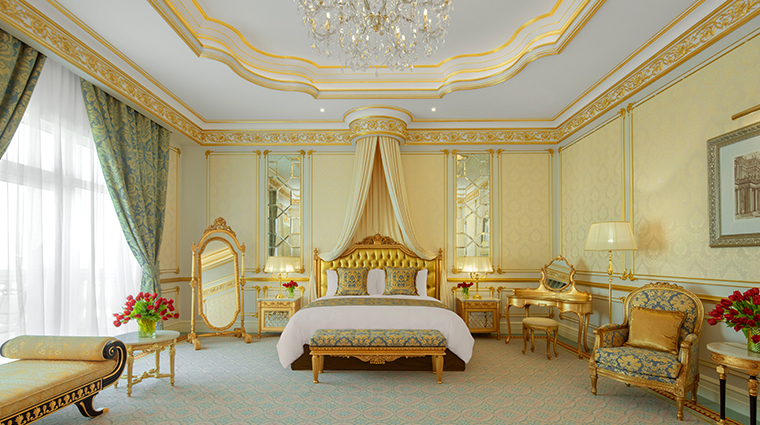 Standing proudly on the west crescent of the Palm Jumeirah archipelago, Emerald Palace Kempinski Dubai is the modern-day embodiment of 18th-century Europe’s grand architectural heritage. Once the unrestrained splendor of the building’s regal domes and dreamlike facades sinks in, step inside this neoclassical palace to be swept off your feet by the remarkable interior — 40,000 Swarovski crystals shimmer in a breathtaking chandelier surrounded by intricate gold leaf and exquisite mirrors. 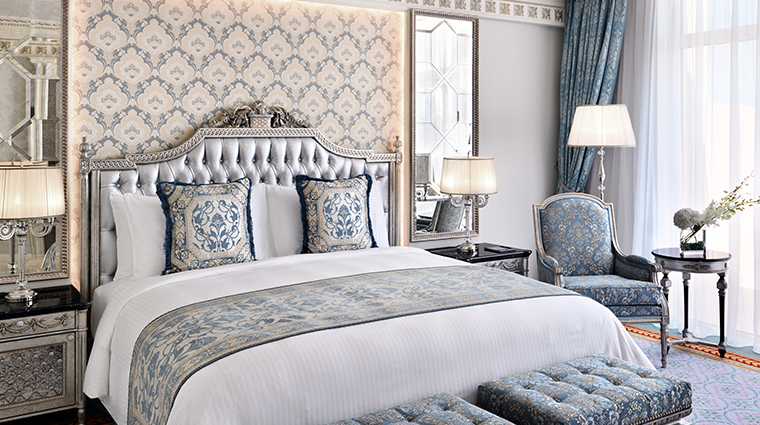 Inspired by the magnificence of the Palace of Versailles and the beauty of Marie Antoinette (who makes a few appearances here), the new hotel’s attention to detail is exemplary. Nothing here is ordinary — from hand-woven damask silk tapestries and polished rose-hued Rosa Portogallo marble columns to the 6,400 Bohemian and Moravian crystal chandeliers that adorn the property and the handcrafted white- and gold-leaf Blüthner Supreme Edition Louis XIV grand piano that graces the lobby lounge, Blüthner Hall. 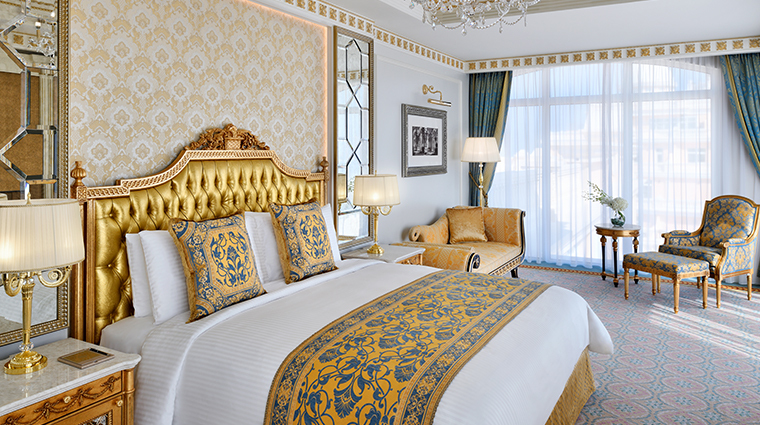 Emerald Palace Kempinski’s beachfront location on Palm Jumeirah is excellent and offers unrestricted views of Dubai’s skyline and the Arabian Gulf. It’s close enough to reach the city’s top tourist spots, shopping, dining and nightlife, and other areas of interest in a few minutes, yet it feels like a true escape. 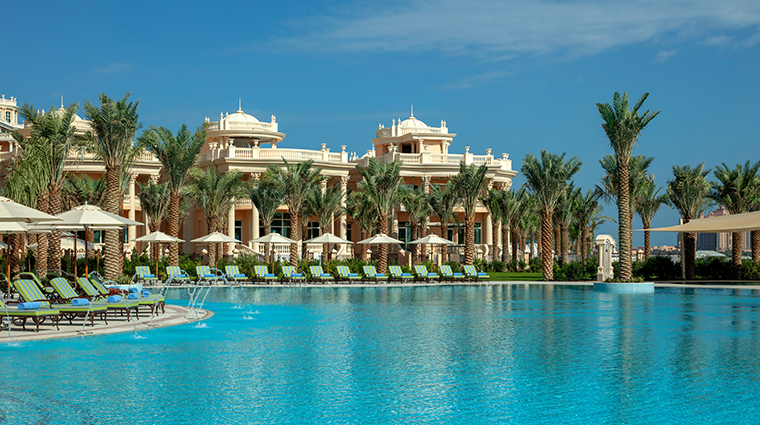 Soak up the sun on the hotel’s 1,600-foot-long private beach (stocked with white sand from the Maldives) or admire Dubai’s skyline from the outdoor pool while enjoying complimentary frozen treats. 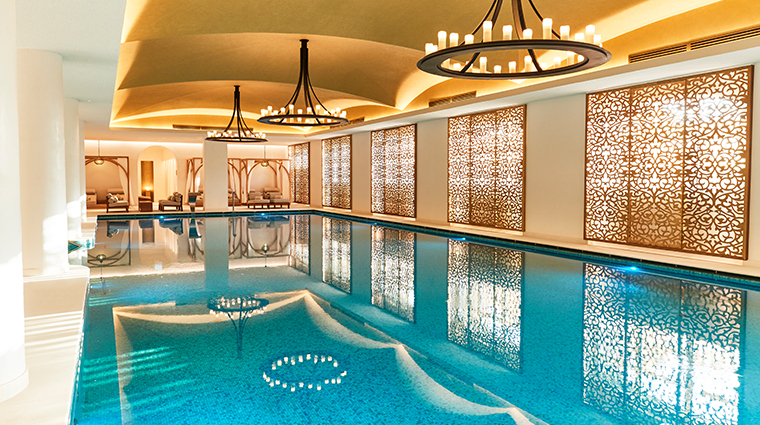 If it gets too warm, head to the indoor swimming hole (the largest in the city) and cool off with herbal teas or smoothies from Vitamin Bar in a private cabana. 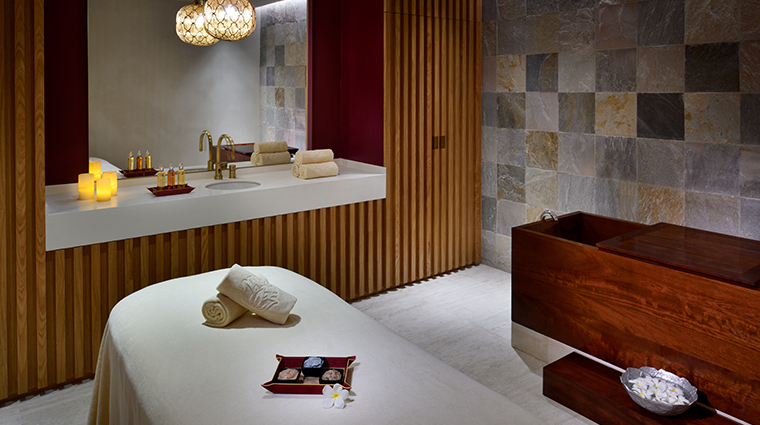 Rejuvenate with globally inspired treatments at the serene Cinq Mondes Spa. 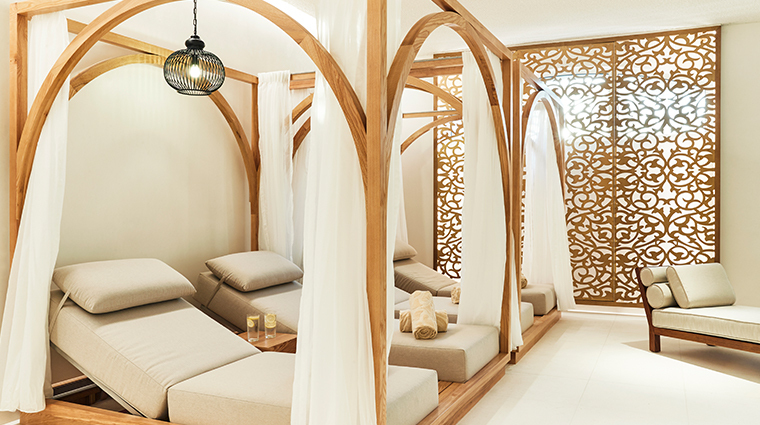 Try the traditional Turkish hammam or for a special glow, experience the Japanese Ko Bi Do anti-aging facial. 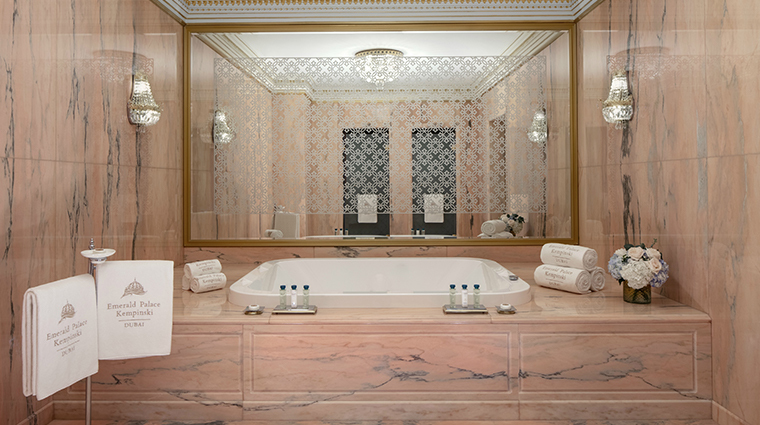 The stately 7,481-square-foot Royal Suite features an opulent living and dining room bathed in natural light from floor-to-ceiling windows, an unusually spacious bedroom, rose-colored marble bathroom with free-standing bathtub and separate shower, a walk-in wardrobe and kitchenette. 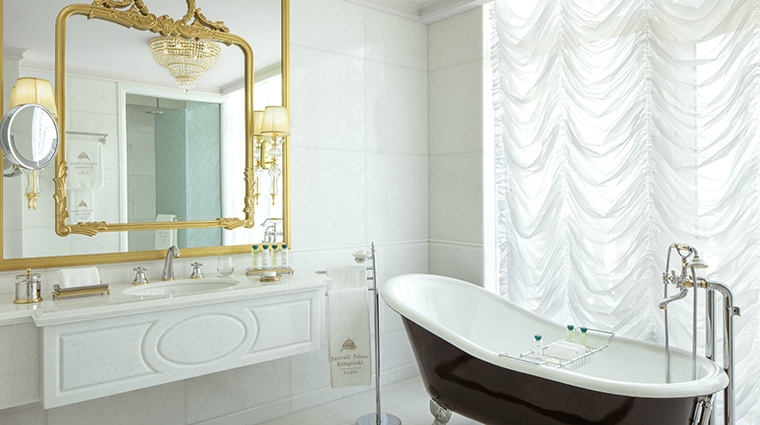 The large private balcony is also home to a Jacuzzi. 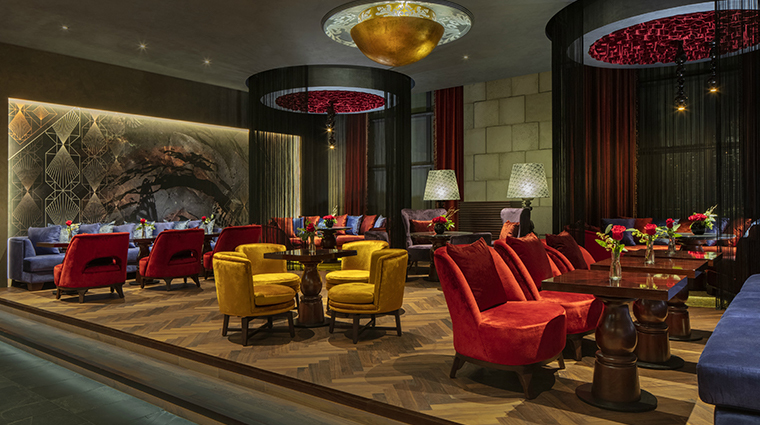 The Dubai hotel plays host to the first UAE restaurant from renowned French toque Alain Ducasse. Boasting a decidedly contemporary interior, the three-story Mix by Alain Ducasse highlights local produce in a seasonally changing tapas menu. A plush private cinema with reclining seats screens classic and popular movies and serves gourmet snacks and popcorn. Fancy a bit of golf? There’s a nine-hole putting green set along the private beachfront. Tiny travelers are guaranteed to have a good time. Little Kingdom Kid’s Club plans fun activities, crafts and entertainment for little ones, while the trendy Teens’ Club provides TVs, PlayStations and other entertainment. The active set can hit the 24-hour fitness center with personal instruction available upon request. Group and private yoga sessions take place in a quiet studio. Accommodations are spacious with plenty of natural light. 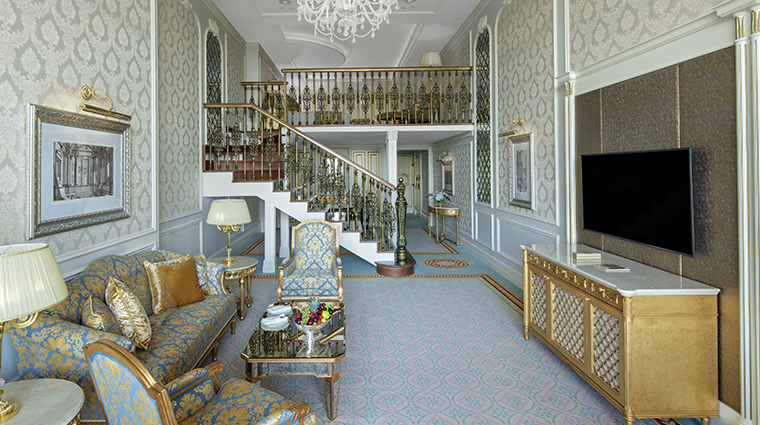 Adorned with gold or platinum fittings, handcrafted furniture, luxurious fabrics and rich jewel tones, they combine Old World charm and classic décor with modern sensibilities and amenities. 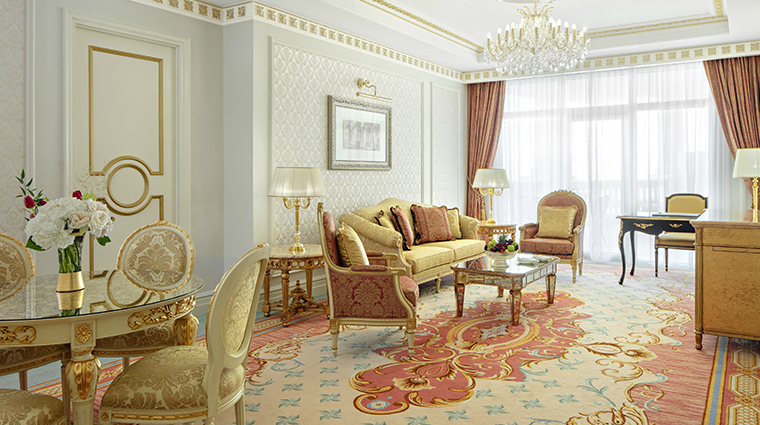 While it’s all quite regal and elaborate, it’s never over the top. 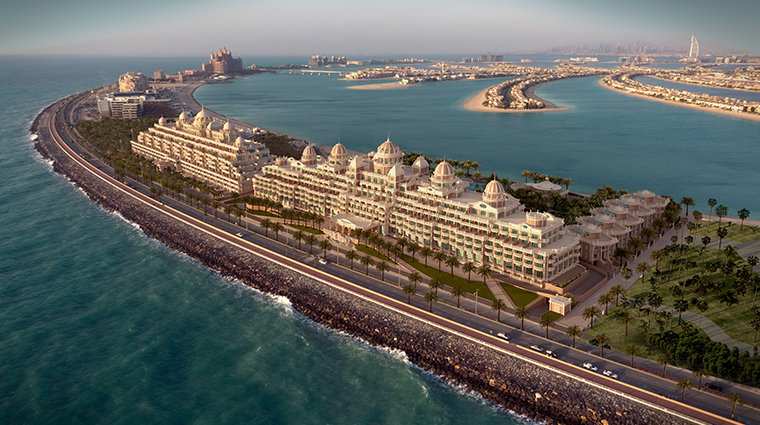 Private balconies afford views of the city’s skyline, Jumeirah Lagoon, landscaped gardens or the Arabian Gulf. 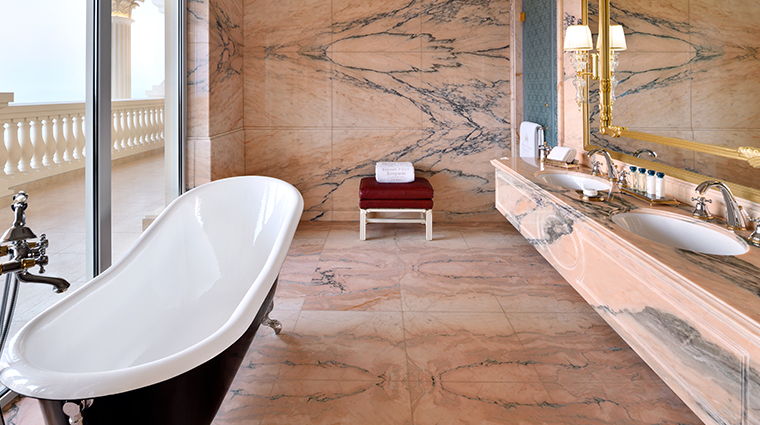 Luxe marble bathrooms come with standalone bathtubs and separate showers stocked with custom Ferragamo toiletries. Ideal for large groups or families, ten four-bedroom villas have all the comforts of a home away from home and then some. 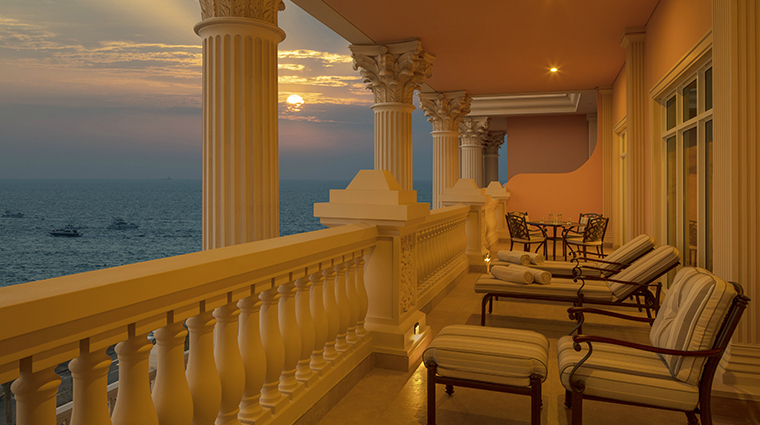 Terrace vistas over the gardens and sea come standard, as do rooftop pools, Jacuzzis, vast living areas, dining rooms, full kitchens and butler service. 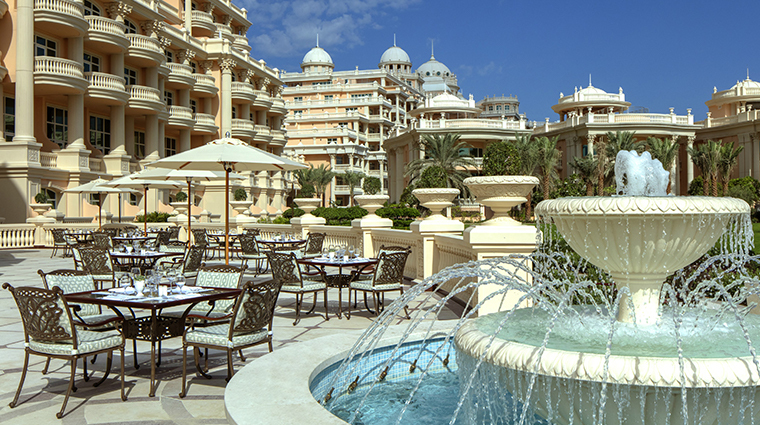 Feast on European cuisine with a Middle Eastern twist at the bright and elegant Le Jardin. Enjoy light and healthy meals for lunch in the beautiful interior or head to the terrace for garden views. Escape to a quaint Mediterranean seaside village at Villamoré, where fresh seafood as well as Levantine and Italian flavors are best enjoyed alfresco overlooking the ocean. The blue and white theme takes cues from Mykonos. For contemporary Japanese cuisine, head to Matagi. 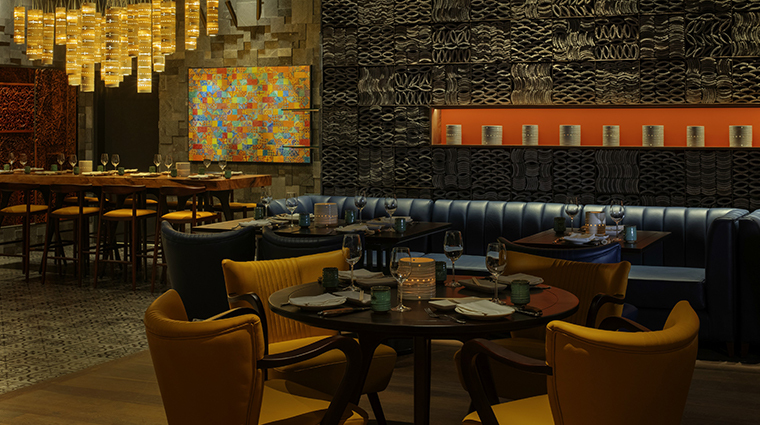 The trendy rustic interior with Asian-inspired design elements makes this an intriguing choice for dinner — the wagyu steak comes highly recommended. 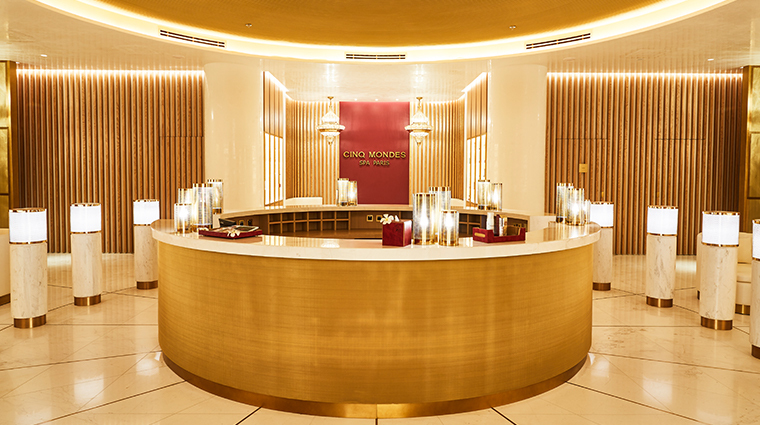 Sample Venetian fare with (surprisingly) Asian flair at All’Onda, developed in partnership with renowned chef Chris Jaeckle. Expect a modern spin on classics such as crudos, risottos and fresh pastas. 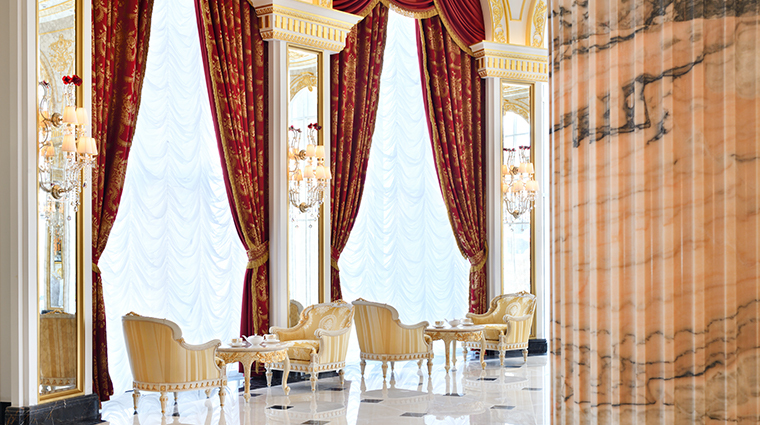 Spread over three floors, Mix by Alain Ducasse is the standout dining venue at Emerald Palace Kempinski. A seasonal French-inspired menu can be savored on the scenic terrace or at the ultra-exclusive chef’s table, housed in the central dome of the luxury hotel.